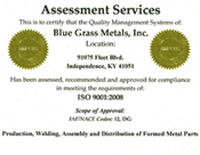 Blue Grass Metals is a trusted supplier of precision tube fabrications. We perform operations such as Tube Flaring, Tube Flanging, Tube Expanding, Tube Piercing, and more. 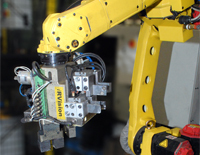 Blue Grass Metals offers a solution which can convert components traditionally manufactured as single components into “subassemblies”, complete with all the necessary printed indicators and labeling. Blue Grass Metals produces a wide range of low/high-volume components and parts for varied manufacturing applications. 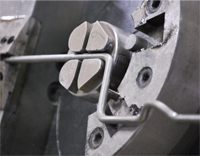 From simple shafts and spacers to threaded couplings, connectors and other fittings, we supply both individual components and finished parts. 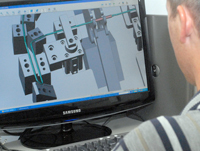 Quality is built-in to every stage of the manufacturing process from material procurement to process flow to record keeping through delivery. We remain agile in our industry, able to react to new technologies, engineering improvements and new production techniques. We strive to provide our customers' products with the highest quality, satisfying their requirements while exceeding their price and service expectations. Blue Grass Metals is a contract manufacturer serving manufacturers in the Automotive, Energy, Appliance, Medical and Agriculture industries.